Registrations, memories and postbag and other updates are carried out by volunteers and may be delayed. If you send email, please ensure that "WILLIAM TORBITT" is in the subject line so that your mail does not get caught in a spam trap. IF YOU HAVE RECEIVED SPAM EMAIL WITH WILLIAM TORBITT AS A RETURN ADDRESS BE ASSURED IT IS NOT FROM OUR IP ADDRESS. 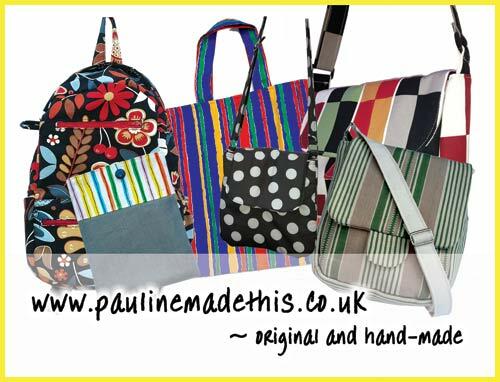 Most of the bags in the shop are individual, one-off creations and many of them are made using upcycled fabrics in order to keep a happy environment. They are all hand signed. A percentage of all sales will be donated to charity. The charity for this year is the Bristol Children's Help Society (Registered charity number 1092921). So please click HERE to take a look at my shop where purchases can be made via the secure PayPal system. Alternatively, give me a ring on 01934 833648 to visit me and view the selection.